REMs: Worth the extra time? In my opinion, yes! When I did my training as an Audiologist, around 2005, it coincided with Modernizing Hearing Aid services (MHAS), in the UK. One of the things that MHAS was implementing into all UK Audiology Centers was Real Ear Measurements. So, for me, during, my clinical training, I always carried out REMs, on all hearing aid fittings (unless contraindicated). I didn’t really know an Audiological world without REMs. All patients I fitted were automatically given a follow-up appointment and I do remember that these appointments went pretty smoothly. 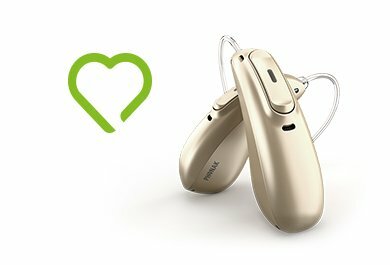 Patients would generally report being happy with the sound of their hearing aids and only sometimes I had to re-connect the hearing aids to the software and make some tweaks. A few years after my clinical training, I worked as a locum Audiologist for a number of months where I was posted at a few different Audiology clinics throughout the country. One of the first places I was posted at, was a town with a huge aging population with extremely high waiting lists – hence their need for a locum Audiologist. Suddenly I went from about three fitting appointments in a morning to about twelve! Twelve sounds almost impossible right? Well, it was certainly like a factory. My job was to fit the hearing aid to the patient and then pass them to an assistant, who would explain how the controls worked and how they should place the device into their ear. Due to the time constraints, REMs were more-or-less out of the question. So, I was faced with my first fitting experience without REMs. Of course, the fittings went pretty fast but I did feel like I was doing it blindly as I was used to having an objective measurement in front of me on the screen. Instead, I had to put my trust into the manufacturer’s First Fit and hope that the individual characteristics of the patient’s ear did not have too much of an impact on the incoming signal! Soon I felt the effects of not having carried out REMs. Firstly, the number of people calling up to request a follow-up appointment increased. Then, during the follow-up appointment, when patients reported dissatisfaction with the sound, I had to experiment with which gain curves to adjust and by how much, plus adjusting knee points and various other parameters. Then the patient was expected to give me subjective feedback on numerous mini-adjustments in a clinical setting which didn’t reflect their real-life. There was a huge amount of guesswork involved on my behalf and I didn’t find it a very easy or rewarding task. After a few follow-up appointments I thought, you know what, I’m going to dust-off their REM equipment and just use it (they did have REM equipment which was even set up and calibrated, but no-one used it). Yes, I did need a few minutes to take the different measurements, but those familiar squiggly lines on the computer were a joy to see. Finally, I had an objective measurement which told me which gain curve, in which frequency channel, I needed to increase or decrease in order to match the target. 9 times out of 10, a small adjustment based on the REM resulted in the patient being satisfied with the sound. This resulted in less guesswork, generally less time overall, and a happy patient and Audiologist. Another Audiology Center at which I worked had slightly less time constraints than my no-REM experience. However, in most cases ‘REMs’ were carried out in the test box in order to save time. In this case, I found that patients were generally more satisfied than had no form of REMs been carried out. For those patients who reported dissatisfaction of the sound at follow-up, I always turned to carrying out real REMs and in most cases could resolve the problem. Looking back at these experiences, I would personally do REMs where possible. I feel it often saves time in the long run and if nothing else, it gives me, as an Audiologist, peace of mind that the patient is walking away with a hearing aid which I set up as best as I could. Do you have similar experiences? If so, please feel free to comment below. Totally agree Jennifer . Encounter this daily with incoming calls from most HCP who have great difficulty in fine tuning a device with a lot of guess work hence takes up more clinical time . Upon check their fitting file reveals no REM measurement was done . Nice to see you also have a similar experience. Totally agree with making sure the machines are calibrated too. We are also performing REM in all our fittings. There is however some disvusoon on interpreting the data and what is considered a right target? Can you enlighten us on how you handle this? Hi Henry, thanks for your comment. Great to hear that you also perform REM on all of your fittings. The statistics show that although many clinics own REM equipment, many of them don’t use it! True – the REM targets can vary a lot depending on how you set them. The prescription formulae setting is of course fundamental and if there is an air-bone gap, this need to be taken into account by selecting ‘use BC values’. Then you need to look at the coupling (earmold/tubing/venting/open fitting). I also found it ideal to run at 50 (as long as room is quite enough), 65 and 80. Some clinics run just at 65 to save time but if possible, all three input levels will give you much more info. Plus, it is worth bearing in mind that the REM target is actually also just a guide. In my experience, I found it to be a very valuable guide. However, if a client was still unhappy with the sound (after taking reasonable time to acclimatise) and it was matched perfectly to the REM target, I would still of course consider making some fine-tune adjustments based on their feedback. Jennifer joined Phonak HQ in 2013. 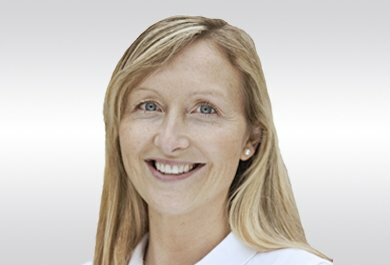 She previously worked as an Audiological Scientist mainly in the UK and Switzerland, with both adults and pediatrics (in the areas of hearing aids and cochlear implants). She received her MSc in Audiology from the University of Manchester.